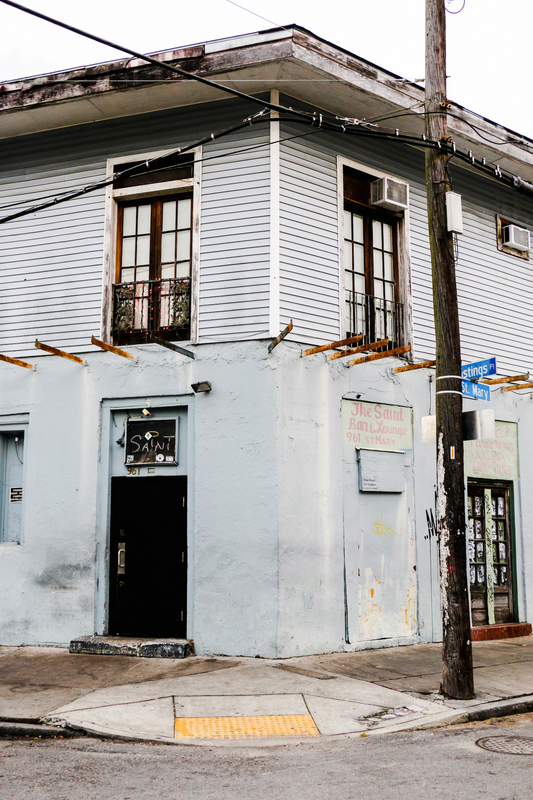 Snake & Jakes, The Club Ms. Mae’s, and The Chart Room are all well-known dive bars in New Orleans. For that reason, they aren’t included in this list, but I do recommend checking them out because they’re all awesome. However, this list of dive bars is an exploration of dark places through doorways barely noticed. Which begs the question: what qualifies as a dive bar? There are plenty of low-key places that don’t have any bells and whistles as far as decor and beverage selection go, but many of them are also music venues, and therefore, not dives. For example: Saturn Lounge, The Maple Leaf, Le Bon Temps Roule, and Teddy’s Hole in the Wall. Neighborhood joints can also have significant dive-y attributes but don’t always fall into the actual dive category. For example, in the Irish Channel, Parasol’s is a neighborhood bar and Pete’s (see below) is a dive. It’s food service and/or the ratio of residents to visitors that splits the difference, in my opinion. Seasonal decorations, if there are any, must be leftover from two holidays ago. There’s a savory shadiness to it that can provide a feeling of unease or welcome depending on your character. A place that time looks to stand still and has been forgotten to yesteryear. At any rate, dives are difficult to define, but these are the ones I feel belong on the list, according to my personal interpretation. Your mileage may vary. This list is straight up dives: cheap drinks, semi-sketchy vibe, zero pretension. Get you a bottle or can of cheap beer and a shot of whiskey at these places, nothing fancier than that. And if you do, proceed at your own risk. This 24-hour joint Uptown on Magazine Street is mustard yellow on the outside and as dark as the deepest roux inside. True story: an elementary school teacher acquaintance of mine was passing by in the morning with her coffee when two gentlemen stumbled outside squinting at the light. One groaned and said to the other, “Oh man, is it sobertown already?” That’s Brothers Three. True story. Pete’s has come up in the world in recent years. It now has a sign with the bar’s name on it outside for anyone to see, and it has a Facebook page. Inside, though, it’s still got everything that makes it such an excellent dive – cheap drinks, poker machines, sports on TV, a buzzer to enter, and a kickass jukebox. They’re also running Bingo nights now on Tuesday nights so there’s a little something weird for everyone. Cash only. The Mayfair Lounge is a Touro holdout against neighboring hip, cool, trendy bars and has been for about 40 years or so. It’s a divey, comfy space with a pool table, poker machines, and a crazy amount of random crap hanging from the ceiling. (This is great for drunken conversations and icebreakers.) They have a decent bottled beer selection and they now serve (sotto voce) rosé. Great for drinks before, during, and after parades on St. Charles Ave. Cash only. Oh, man, the Abbey. You better have a solid phone a friend option before you lose yourself in there for 3 days straight (it’s open 24 hours/day). It’s almost like stepping into an alternate dimension, but it’ll be a good time and you probably won’t make decisions that haunt you for the rest of your life there. You’ll get cheap drinks, a crazy awesome punk and metal-heavy jukebox, and a guarantee that you will likely get cussed out in some fashion while there. It’s definitely not the typical French Quarter bar, which is a good thing – if you’re up for the challenge. Chuck’s is so dive-y that it’s actually hard to tell if it’s even open for business sometimes. It’s so very super sketchy even surrounded by swanky hipster hotels and an ever upwardly mobile neighborhood. Strong, cheap drinks are served by semi-surly bartenders alongside regulars. They close relatively early for a dive (around 11 p.m./midnight) but, really, all you need is two drinks and you’re done. Get some crazy-strong drinks while you do your laundry at Igor’s. It’s a dive bar-laundromat that’s open 24 hours. It ticks so many dive boxes: bartenders ranging from inattentive to downright hostile, nasty tiny bathrooms, video poker, and a battered pool table. 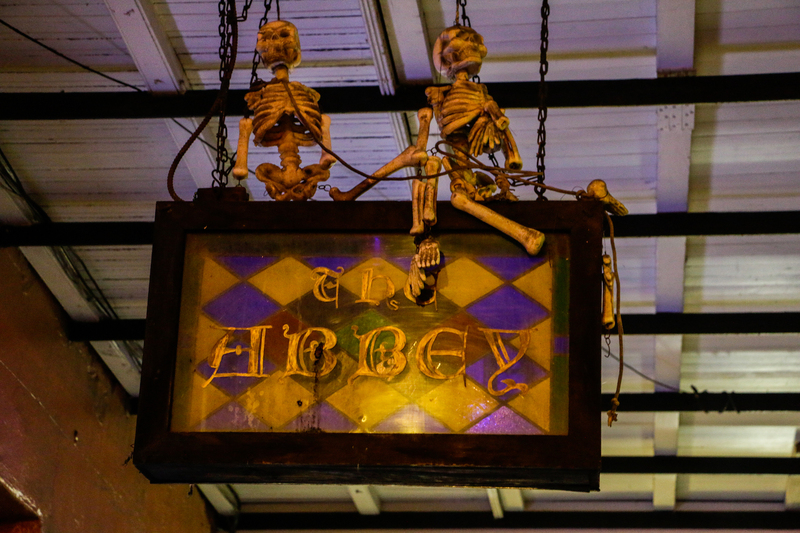 A block off of both N. Rampart and Frenchmen Streets, Iggy’s is one of those places that you might pass a hundred times before noticing it exists. Once you do, and enter, you’ll find a dark yet cozy bar staffed by what one might call “characters.” For more dive-y pleasure, there’s a pool table, darts, video poker, and jukebox (which people line up for). 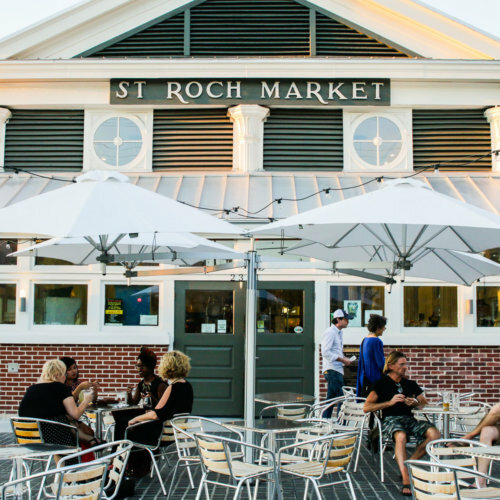 It’s conveniently located to both the Upper Quarter and Frenchmen Street as well. Strong, cheap drinks, open 24 hours, cash only. What’s the difference between an Irish dive and a real Irish pub? I don’t know, but whatever the answer is, Mick’s straddles a fine line between the two. Cheap drinks, Irish hospitality and a total local vibe make Mick’s a great place to stumble into without any pretentiousness. You can make friends and play pool, shuffleboard, and…Jenga? Roberts’ (which is not a liquor store, just a bar) is a bit of a strange animal. It’s definitely a dive. Open from 4 p.m.- 4 a.m., the afternoon/evening belongs to the regular barflies. Then as things get late, more students from Tulane and Loyola trickle in. In addition to the requisite cheap drinks, Roberts’ has a ping pong table so go paddle your troubles away.